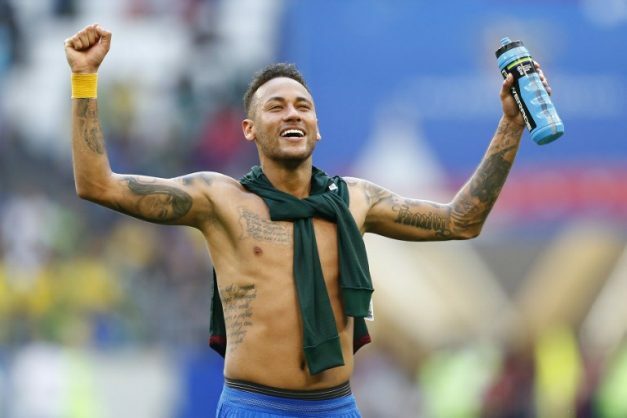 Brazil's forward Neymar celebrates at the end of the Russia 2018 World Cup round of 16 football match between Brazil and Mexico at the Samara Arena in Samara on July 2, 2018. Picture: AFP PHOTO / Benjamin Cremel. Brazil superstar Neymar brushed off his critics after firing the five-time World Cup winners to victory over Mexico on Monday and into a quarter-final showdown with Belgium.